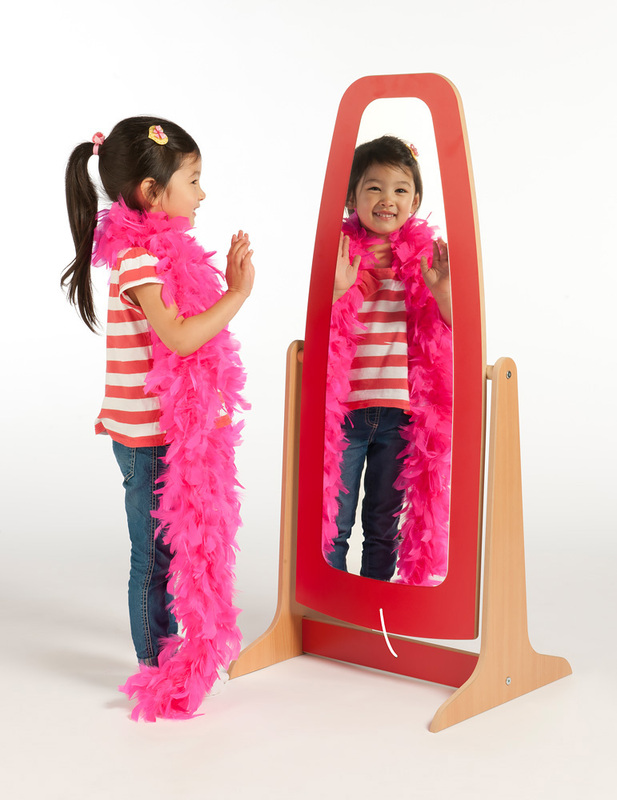 The Galaxy Dress Up Mirror is an ideal addition to role play and dress up areas in schools, pre-schools and nurseries. It is designed to tilt slightly to accommodate different child heights but is locked to prevent it from tilting too far in either direction. 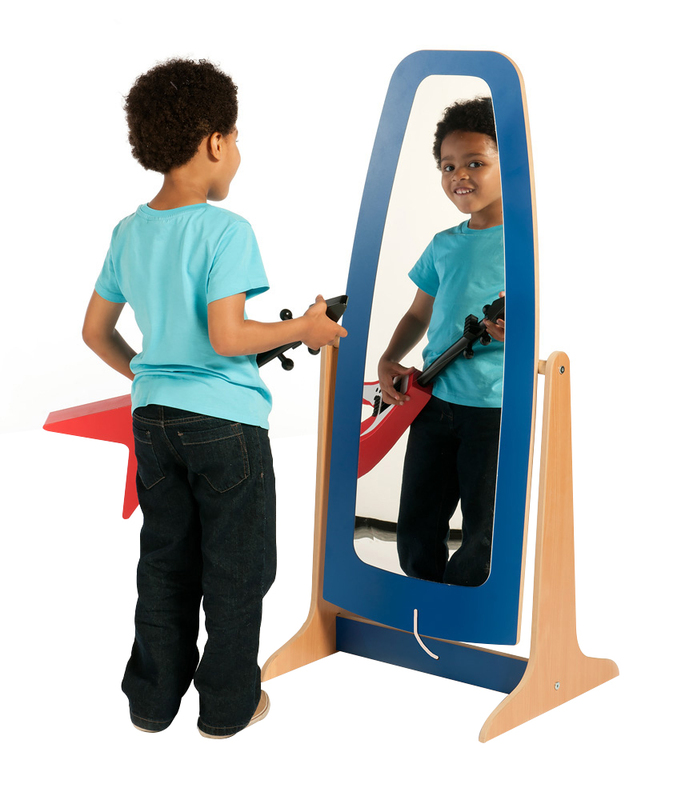 The mirror is plastic so provides a safe play environment. Manufactured sustainably in UK using durable and easy-clean beech melamine available in either red or blue which is covered in tough, child-friendly, water-based lacquer which helps the frame keep its colour and makes it easier to clean. Please note: the kids fancy dress and props featured in the product images are not included with the Galaxy Dressing Up Mirror. For more information please Contact Us or call us on 01733 511121.